I have recently found the secret to inexpensively entertaining my two year old for hours on end: SOCKS!! Playing our socks games has kind of become an evening tradition (especially during that last hour before my husband gets home from work and it seems like time stands still). 1. Snowball Fight: We do this when we’re folding the laundry and my son LOVES it. I’m trying to train him to help me match the socks too but he’s not quite there yet. Once you have all the socks folded together though, pick one up and throw it! The game will start itself! 2. Sword Fight: This is the best type of sword fight if you don’t like actually getting hit in the face with a sword. Get a longish sock and start waving it around at each other. Pretty soon your toddler will be fighting off dragons and demons everywhere! 3. Sock Puppets: I don’t even put faces on the socks and my son still loves watching the show. Sometimes I hold up stuffed animals too to keep it interesting. 4. Hidden Gems: Gather a handful of socks and slide a small toy into each sock. My son loves pulling them out so much I wonder why we even have Christmas? To try and make it educational I’ll sometimes ask him what color the toy is, or make him say the name. 5. Bubble Snakes: I saw this on Pinterest the other day from One Little Project and had to add it to my list! I have yet to try it since it’s winter but I bet my son would love it in the bathtub too. If you have more ideas please share!! Bookmarking this! With the crazy weather we've been having here on the East Coast I need all the indoor ideas possible to keep my daughter occupied. Thank you for linking this up with Small Victories Sunday! I love these activities. 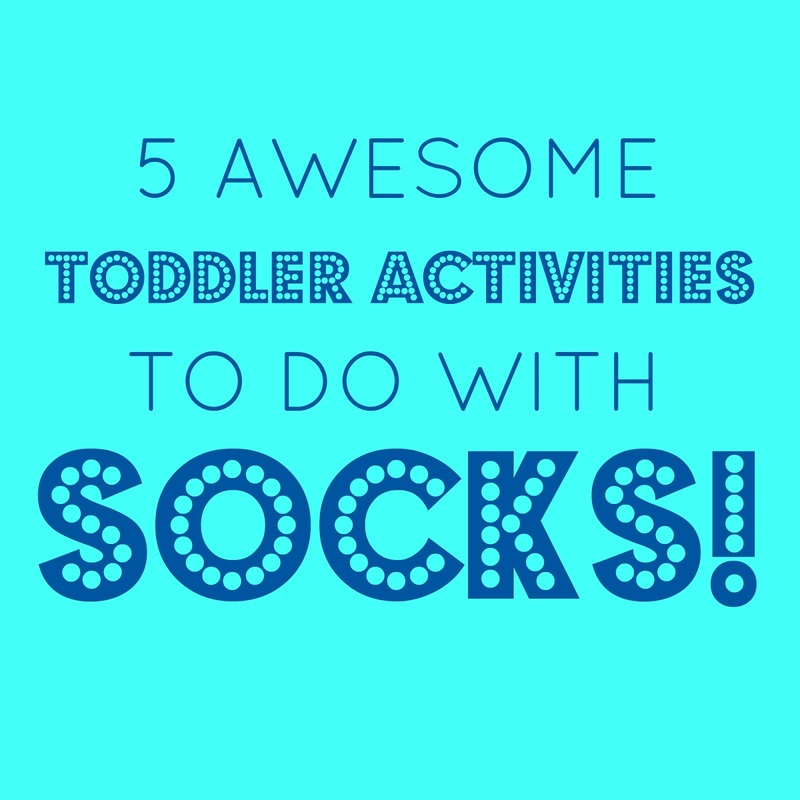 we can get lots of fun with these socks activities. These are seeming very enjoyable by reading so how much these will give me pleasure in reality. I can't wait to try these. These activities are seeming very enjoyable only by reading about this. I am wonder that how much these are provide me fun if I try these in reality. I can't wait to try these.